On June, the 12th, 1749, Preda Bujoreanu, a local “vornic”, old title for the magistrate, sells his “two stone cellars” mansion, to the Socoteanu family. At the beginning of the 19th century, Paraschiva (Bica) Socoteanu marries Iancu Lahovari, and the mansion is included in her dowry. From that moment, the house belongs to the Socoteanu-Lahovari family. On September, the 11th, 1909, Irina Sterian, the inheritor of Constantin Lahovari, sells the mansion to the town, and the building is the place where the City Hall functions until 1979. From 1979 to present, this historical building is the place where the courses of Children’s Palace take place. 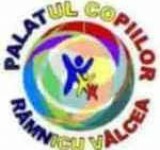 Founded in May 1953, Children’s Palace Râmnicu-Vâlcea has been the first and only place in town where children could choose their courses, based on their interests, skills and vocation. Part of the non-formal education, our school offers a variety of after-school possibilities of spending quality free time undergoing learning activities through games, role play, contests and competitions, in an attempt to prepare children for life and enhance their team spirit and self-confidence. All our 22 activities are free for children from 5 to 18 years of age, therefore anyone can participate as long as they are students and show passion and interest in cultivating their innate skills. The educational offer contains classes of: Astronomy – Applied Physics, Theatre and Creative writing, British English, Traffic Education, Modern Dancing, Ecoturism, Civics Education, Fanfare – Organ Classes, Folk dances, Origami-Ikebana, Informatics, Musical instruments – Guitar, Karting, Applied Mathematics and Logics games, Metaloplasty, Museology, Ship/Auto-modelling, Turistic orienteering, Foto Club, Painting, Chess, Ping-pong. For more than half a century, Children’s Palace has been the place where students of all ages improved their skills and enlarged their knowledge in different areas of knowledge: cultural-artistic, technico- scientific, sport and tourism.